PublishPress members can now download version 2.0 of the Multiple Authors add-on. This is a major update with a ton of new features and improvements. If you need to show more than one author for your WordPress content, then this is the solution for you. The goal of PublishPress is to help WordPress teams create great content. Earlier this year, we made an acquisition that helps us meet that goal. We acquired Bylines, a multi-author plugin for WordPress. Bylines allows you to assign multiple authors to a post and easily publish articles from guest authors. I’m pleased to say that Bylines is now fully merged with the Multiple Authors add-on. We hope that this new release combines the best of both plugins. We will only develop Multiple Authors from this point forward, so if you are a Bylines users, please get ready to move. We’re here to help. This blog post will introduce you to all the new features and changes in Multiple Authors 2.0. Authors who are mapped to regular WordPress users and can share all their details. Guest Authors who don’t need an account on your site. A lot of PublishPress users want the Guest Author feature so they don’t have create a WordPress account for each new writer. From this “Authors” screen, you can create new authors for your content. 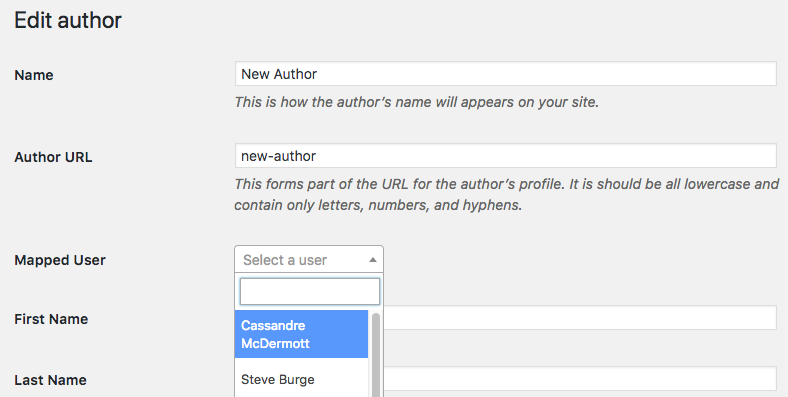 Using the “Mapped User” option, you can choose to connect the Author to a WordPress user, or you can leave this blank and create a Guest Author. PublishPress will treat Guest Authors identically to Authors who are mapped to users. 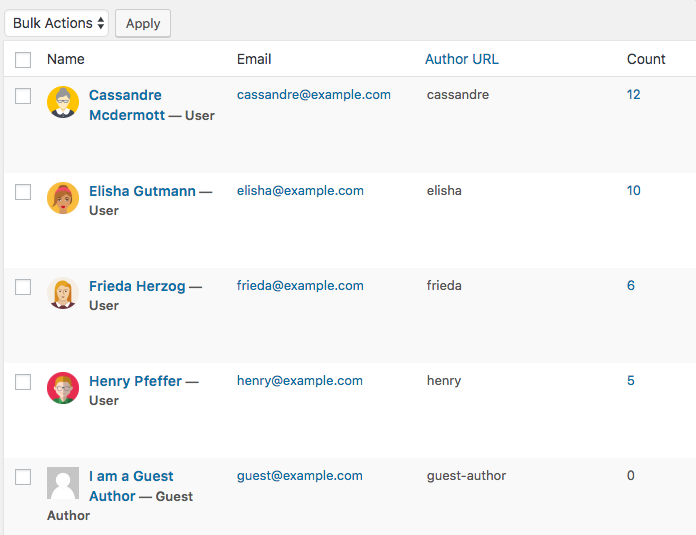 You will be able to select and display Guest Authors in exactly the same way as for mapped users. If you have a lot of users, you can automate the process of setting up Authors. 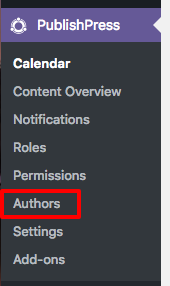 Go to “PublishPress”, then “Settings” and click the “Multiple Authors” tab. 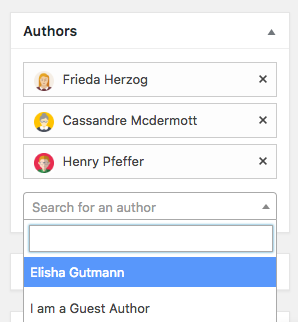 You can automatically create Authors for particular roles. Multiple Authors 2.0 has revamped the way that you choose Authors for content. The image below shows the redesigned metabox that you’ll see in the sidebar of your post editing screen. This metabox is faster than the previous version and also easier-to-use. 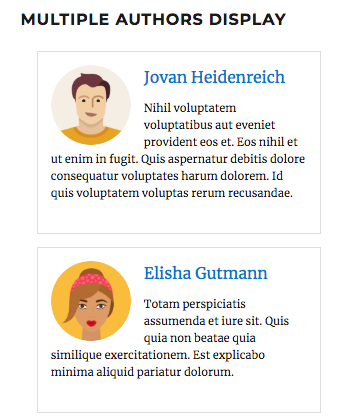 We’ve also heard your feedback and started to allow PublishPress to modify the default author display. This feature works on some themes, but not all themes. This mixed compatability is because theme designers are fond of adding their own customizations to this author output. However, Multiple Authors also allows you to modify your theme and control the display. Multiple Authors 2.0 is a major update that brings some incredibly useful new features to the add-on. As with any major update, please use caution when updating. If possible, please do your updates on a test site first. If you have any questions, please don’t hesitate to get in touch: help@publishpress.com. For sites with Bylines, do you have documentation for the upgrade path to Multiple Authors 2.0? At the end, we recommend getting in touch. We’ve found a wide variety of ways that people implemented Bylines, so we’re happy to help with migrating.